Whether you want to change the look of your home or upgrade your existing exterior finish vinyl siding is a great option for homeowners. More than 70% of homes and businesses choose vinyl siding over other types of exterior finishing. There are a lot of reasons why vinyl is the best choice for many home owners, including the one that matters the most to many homeowners – cost. Vinyl siding is widely considered to be the most cost effective and durable siding material for homes. If you’ve been considering replacing your existing siding or upgrading your home exterior to vinyl siding, below are the things that you should know about vinyl siding. Traditionally, homes were covered with wood siding or wooden clapboards which were painted. Wood siding looks beautiful. However, using wood as an exterior finish creates a lot of problems for homeowners. Wood siding requires a lot of maintenance and has to be replaced or repainted very often. Homeowners constantly need to check wood siding for fading, cracking, warping and wood rot. Painted clapboards can fade, crack and peel in as little as a year which means that homeowners have to plan on repainting the exterior of their home often. Plus, wood siding tends to attract pests and insects, like termites. Vinyl siding can mimic the beauty of real wood siding but doesn’t have the drawbacks that wood siding has. It doesn’t need painting, it’s very resistant to stains, cracking, warping and the other structural problems that wood siding has. Vinyl siding is also pest and bug resistant which is a big relief for homeowners. 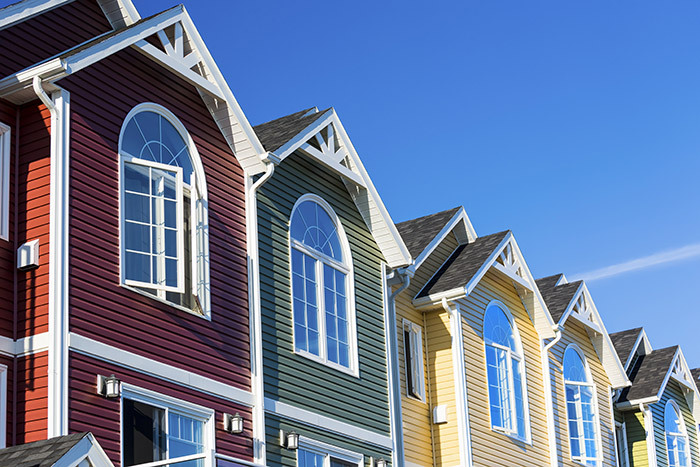 As an added bonus vinyl siding helps insulate homes from outdoor noise which can be important if your home is near a busy street or situated in a loud neighborhood. Older homes or homes that have masonry exteriors can benefit from an upgrade to vinyl siding. Vinyl siding looks great and it can be put up over an existing exterior. This process, called cladding, will totally transform the look of an older home. If you have an older masonry home and you want your home to have some of the warmth and charm of a vintage home but you don’t want to use wood siding, vinyl siding is an affordable way to get the look you want without the problems that are associated with wood siding. Vinyl siding can be hung vertically or horizontally and there are modern vinyl siding options that are made to mimic the look of vintage clapboard siding and other fancy old-fashioned finishes. You can give your home the vintage look that you love while still taking advantage of the benefits of modern vinyl siding that’s highly durable and easy to maintain. Painting wooden siding can be a nightmare for homeowners. Hiring professional painters is expensive, and the work can take a long time to finish. Also, painting your home on your own can be a dangerous and dirty job. Wood siding needs to be repainted often, but vinyl siding makes it easy to change the color and the look of your home. That’s because vinyl siding is made from a plastic resin. That resin holds color very well so you never need to paint vinyl siding. Vinyl siding is available in several dozen popular colors that you can use individually or combine to create exactly the exterior look that you want for your home. You can combine colors and add trim, fascia or gingerbread style accents to customize the look of your home. If you decide that you want to change the color later on, all you have to do is purchase new siding in a different color and have it installed. No painting necessary. Homeowners can easily express their personal style on the exterior of their home as well as in the interior of the home by using affordable and stylish vinyl siding to create colorful and stylish home designs. Different cuts of vinyl siding can also be used to recreate traditional decorative patterns that used to be created with wood clapboards and trim. Whatever type of exterior your home has needs to be durable and able to withstand everything from intense sun to extreme storms to snow and ice. 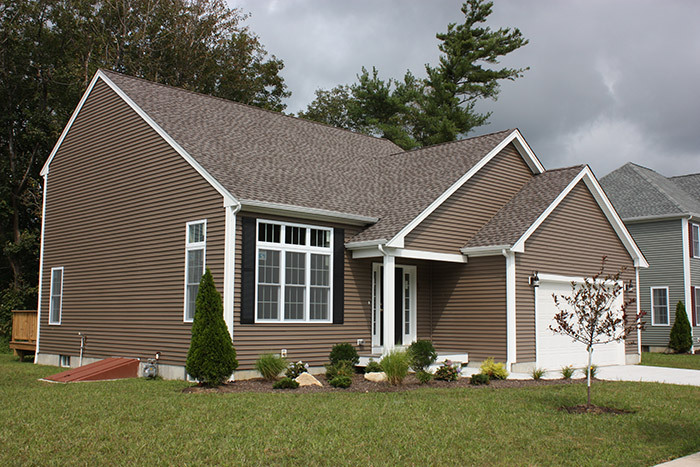 Vinyl siding is one of the most durable types of home exterior finishes on the market. Vinyl siding can withstand hurricane and tornado force winds. It won’t fade, crack or peel from exposure to direct sunlight because the color is part of the vinyl and not added on top of the vinyl like paint. Even if you live in a climate that gets intense direct sunlight most of the year, vinyl siding won’t let you down. If you live in an area that gets extreme storms, vinyl siding will help protect your home from wind, water, and ice damage. Vinyl siding can last for decades if it’s properly maintained. If you don’t want to have to spend a lot of time and effort keeping your home’s exterior clean and damage-free, vinyl siding is probably the best choice for you. Vinyl siding has the strength and durability to last for years with just simple cleaning. Every home exterior finish is going to need a little maintenance. Over time, mold can grow on the siding from water that gets deposited on the exterior of the home during rain or storms or even watering the grass. And mold and bacteria can begin growing on the siding if mold spores get deposited on the house by the wind. Some types of mulch also give off bacteria and mold so if you have landscaping mulch around the house, bacteria can grow. Vinyl siding is very easy to clean. Pressure washing the siding or even giving it a good rinse with a garden hose is all that’s really necessary to keep vinyl siding looking great and free of pollen, dust, debris, and mold or bacteria. You don’t need to use any harsh chemical cleaners or scrub the siding. So if you want a home that looks great but doesn’t require a lot of effort to stay looking great, vinyl siding is way to go. That’s why it’s such a popular choice with homeowners. Homeowners also like that vinyl siding doesn’t require a huge investment. Vinyl siding is one of the least expensive home exterior options, both in upfront cost and in maintenance costs. If affordability is important to you or you have a tight budget for a home remodel but you still want your home to look fantastic, vinyl siding is the right choice. If you’re considering replacing your siding with vinyl siding or if you want to transform the look of your home by installing vinyl siding over brick, stucco or concrete talk to a siding professional today to see the many colors and styles of vinyl siding that are available. For the best vinyl siding in Peoria, homeowners look to Feldco. We have many styles and colors to match any home and our siding is installed by factory trained and certified professionals. Get a free quote now to start your vinyl siding project with Feldco.